During my formative years in Asha for Education, a senior volunteer once told me that the reason why Asha is an unique and great organization is because it doesn’t suffer from the lamp-post problem. “We don’t search for the ring under the lamp because it’s bright there. We fund projects, not because they are the best ones to market and raise funds for, but because we truly believe those projects have the ability to bring about fundamental socio-economic transformation in India,” he said. As my experience in the organization grew, along with the understanding of the underlying factors that cause socio-economic distortions in society and the role education has in fixing those problems, I truly realized the value of freedom Asha has from the lamp-post problem through its completely crowd-sourced, non-hierarchical and democratic operating structure. Whenever I look at the nearly 200 high-quality projects Asha funds each year, I am reminded of why Asha is such a fantastic organization to volunteer for. Asha for Education has grown leaps and bounds from its humble beginnings in 1991. 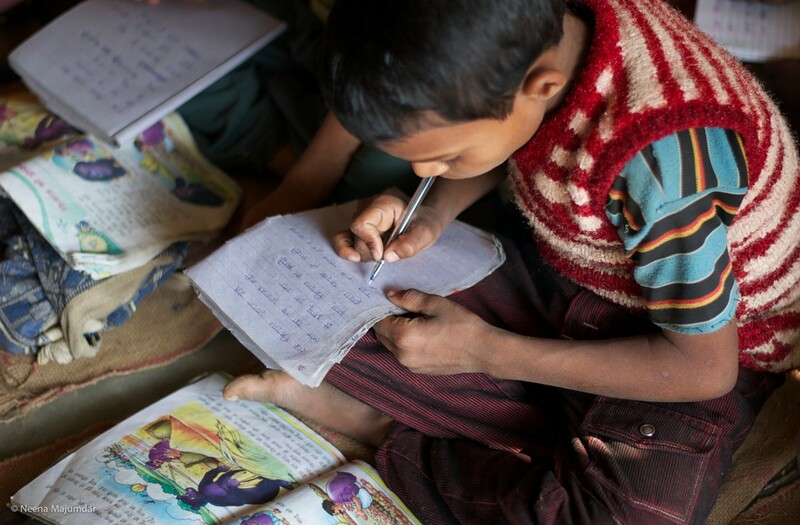 Today we support the education of 100,000+ kids each year in 200 projects spread across 24 states in India. Asha goes about its business with a highly dedicated and motivated team of volunteers running its core. Every day, we strive to ensure that kids in our projects have high-quality education and go on to have better opportunities in their lives than they would have had otherwise. 2013 was an exciting year for us here at Asha. Not only were many of our project partners recognized for their work but Asha, as an organization, also received critical acclaim. 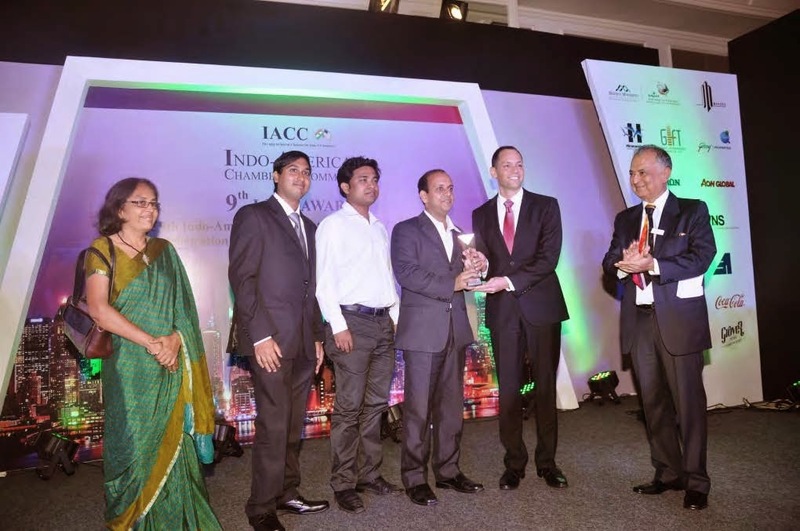 The Indo-American Chamber of Commerce awarded Asha the “Best Indian NGO in the US” award as a part of the 2013 Indo-American Corporate Excellence awards (I-ACE). An eminent jury of Indian and American industrialists and dignitaries, including Messrs Nadir Godrej, S Lakshiminarayanan, Nimesh Kampani, Farokh Balsara, Harsh Mariwala, Nanik Rupani, Dr. K K Nohria, selected awardees. The award recognizes 22 years of passionate dedication and hard work of volunteers across the globe working towards catalyzing socio-economic changes in India via education. The Chief Guest of the award ceremony, Hon’ble Chief Minister of Maharashtra Sri Prithviraj Chavan, and the Guest of Honor, Hon’ble Speaker Sri Dilip Walse-Patil, congratulated Asha for being a force of change. 2013 was also when Asha launched a volunteer recruitment campaign titled “I am Asha.” This was in response to the realization that despite the 60+ chapters that Asha has across the world, people in general don’t quite know how easy it is to volunteer with Asha and what each volunteer actually gets in return by volunteering. Volunteering is as easy as walking into a chapter meeting and signing up for the responsibilities that he/she is interested in. No frills, no bureaucracy and no fine print. Volunteering at Asha brings pride and ownership in being a part of Asha because volunteers do the one thing very dear to their hearts: be the “Hope” or “Asha” for under-privileged children in India. Through the campaign we told our social networks (digital or otherwise) how easy and fantastic it is to volunteer and welcomed them to join us in our efforts. We also conducted the Asha 22 conference marking the 22 years of the organization. Here, great speakers like Dr. Balasubramaniam from Swami Vivekananda Youth Movement, Rafi Malek from Center for Development in Gujarat and Adhik Kadam from Borderless World Foundation in Kashmir shared wonderful knowledge and experiences with the volunteer community. Internally, we have started re-organizing critical components of our treasury and project management systems to improve efficiency. We have also initiated the long and tedious process of conforming our treasury record-keeping to latest industry standards. While Asha already scores very highly on transparency metrics on non-profit rating websites like Charity Navigator, we want to take it up a notch through an end-to-end audit of the organization in the near future. In the end, I sincerely thank all Asha volunteers for tirelessly and selflessly contributing their time and effort to keep Asha running. 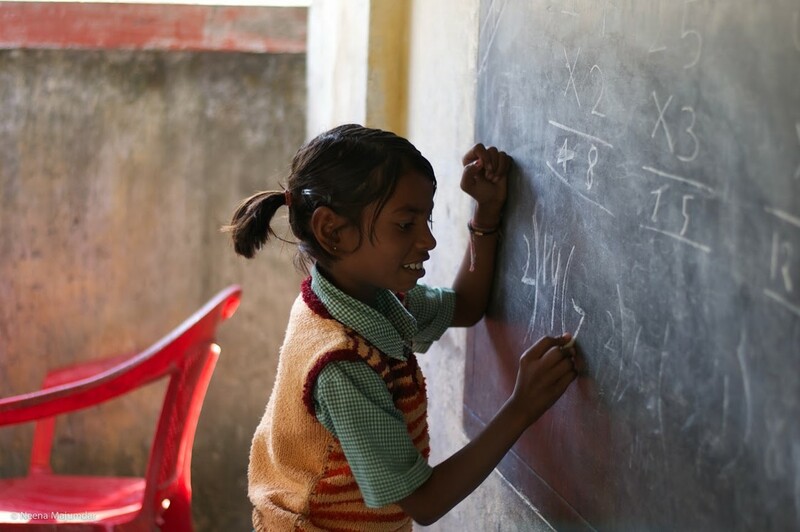 Without you there wouldn’t be any Asha for Education and, there probably wouldn’t be an “Asha” for those 100,000+ kids in India whose education we support each year. So kudos and thanks for everything you do each day. This annual report presents not only a snapshot of the important financial figures of Asha for Education in the year 2013 but also some of the exciting stories from our projects, written by our volunteers. These clearly stand as testimony to the passion that our volunteers bring to Asha. The Navjyoti Swawalamban Sewa Sansthan (“Navjyoti” in short) runs schools and vocational training centers in Harsos, Nagepur and surrounding areas about 40 km Varanasi in Uttar Pradesh. We visited some of these schools and vocational training centers in January 2013. Navjyoti Swawalamban Sewa was started by Nandlal Master and focused on the villages of Aarajiline block in Vanarasi district. 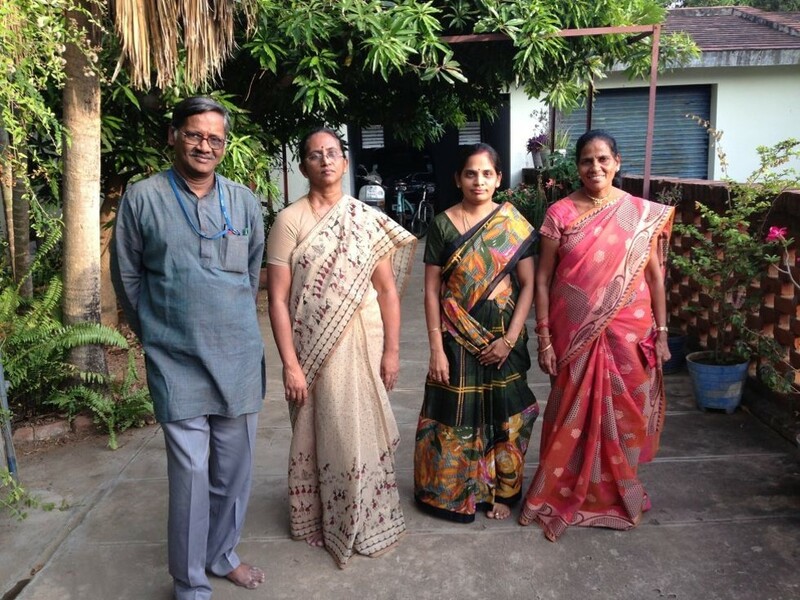 Most villagers in this area make Banarasi silk sarees. Being poor, they employ their children in the work. So, children work during the day and miss out on school. To remedy this, Nandlal Master started an evening school at Usarapatti village on 13 August 1994 using contributions from local villagers. The school enabled children to get an education without interfering with their work. Navjyoti later started evening centers at other villages. Day schools were started in Harsos and Nagepur as more and more children were keen to go to regular schools. At the time of our visit, in January 2013, 800 children were being educated at 10 vocational centers and two day schools run by Navjyoti. We visited the school at Harsos first. The students greeted us with their morning drill and prayers. We were happy to see many girls in the school and asked them about their interests and hobbies. The students were eager to talk and present their work. The school had been using space available in the village community center. However, Navjyoti was asked to vacate the premises as the village panchayat wanted to use it for its office. Consequently, kids had to sit in an open area outside the building. Even this was not acceptable to the panchayat. The school faced an uncertain future. Images from Navjyoti’s school in Harsos. After Harsos, we visited the school in Nagepur. 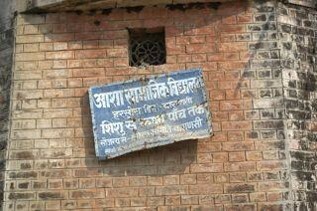 Unlike the school at Harsos, this school was in an Asha Trust building. We saw 2nd grade students learning language and grammar by reading stories from their textbooks and writing down what they were reading. In another class, students were practicing arithmetic. Girls and boys were equally enthusiastic about coming to school and participating in class. Later, we spoke to students from 9th grade about school and their dreams. A girl wanted to be a doctor and asked us about our work and careers open to her. We were happy to see that the girls were dreaming about careers and trying to take life decisions instead of worrying about getting married early. The school had a computer room with two functional computers. Students had regular computer classes. However, due to scheduled power cuts for up to 12 hours every day, they could use the computers only occasionally. The teachers and staff of Navjyoti told us that their biggest difficulties were due to provisions under the new RTE Act pertaining to minimum teacher qualifications and infrastructure. Under the RTE, a primary school principal must have a BEd (a three-year course after a college degree like BS). The remaining teachers require a DEd (a 1-year diploma after 12th class). However, once a student/teacher ratio of 30/1 is achieved using the teachers with degrees, there is no degree requirement for additional teachers. Four teachers had BEds while two were enrolled in the degree program. RTE also mandates that classrooms have to be a certain size and schools should have drinking water and toilets for the students. In small villages such as Harsos, where the students are forced to study in the open, these are far from feasible. Navjyoti runs several vocational training centers where girls and women are trained in sewing and tailoring. Each center has 1-3 sewing machines and is headed by an experienced instructor. These centers have trained many village women, some of whom have even started small businesses. At the vocational center we visited, women made school uniforms, salwars, blouses, etc. Navjyoti’s progress has not been easy. In Nagepur, despite having a couple of computers, students were unable to use them for learning due to lack of electricity. In Harsos, lack of space threatened to shut down the school. Strict RTE requirements, which may seem reasonable to an outsider, can be restrictive to projects when funds and facilities are limited. Despite these difficulties, Navjyoti did great work thanks to the efforts of its volunteers, teachers and staff. We were very happy to see Navjyoti’s schools and vocational training centers working well. In the schools, boys and girls were enthusiastic about education and did not have to work. In the vocational training centers, women were trained to become independent by learning sewing. We hope the project continues its amazing work of educating children and empowering women. Asha Berkeley celebrated its 23rd annual cultural show where they drew hundreds of people of all ages to their biggest event of the year, Images of India 2013. The event was a great success with wonderful performances by several groups, two dynamic comperes from Asha and a beautiful traditional ambience. The UC Berkeley International House was packed with an enthusiastic audience on 3 November 2013. Decorations adorned the inner walls of the I-House, including colorful saris and paintings of elephants, musical instruments, dancers and other facets of Indian culture. 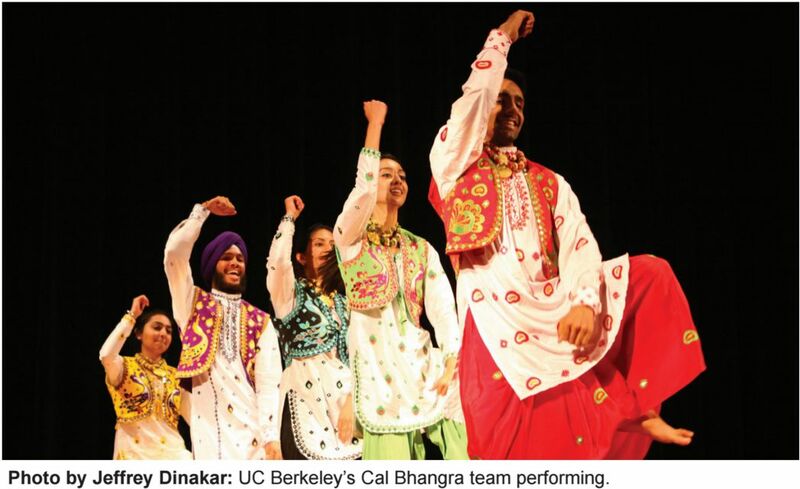 Some of Berkeley’s best troupes performed: Cal Kathak, Cal Bhangra, Azaad and Zahanat. We also had students from Nritanjali School of Dance, a performance by a group of boys from Tabla Niketan and another from the Trinity Center for Music students. Intermission came with delicious samosas and chai courtesy generous donations from Sukhi’s Gourmet Indian Foods. A surprise element was an entertaining video narrated by Sridevi Prasad, Project Coordinator, and Surbhi Trivedi, Project Steward for Jamghat. They also shared some of their experiences of being a part of Asha and how the organization became such an important part of their lives. Raffle tickets were drawn at the end of the show and lucky audience members won exciting prizes donated by our sponsors. The event absorbed the spirit of the Bay Area, with an audience consisting of families, students and Asha donors. Volunteer efforts, generous donations, incredible performances and the audience’s enthusiasm made for an exciting evening. The Rural Education Welfare and Resource Development (REWARD) Trust aims to upgrade government schools to provide quality primary, secondary and higher secondary education to all students in Kanchipuram district, Tamilnadu. It was founded and run by the scientists working at the Madras Atomic Power Station at Kalpakkam. 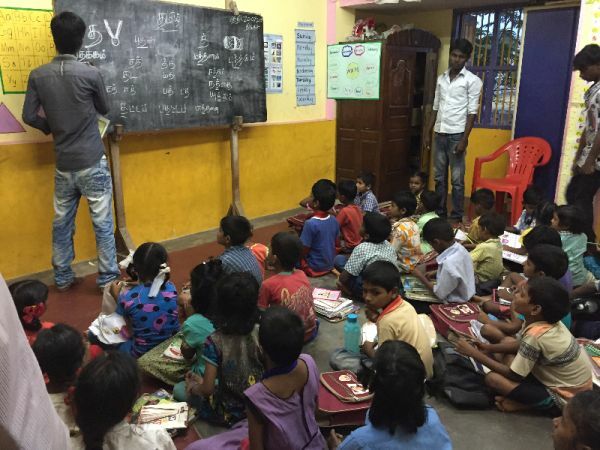 The founding trustee of REWARD, Mr Sridhar, got the idea of this project when he and his wife Kalavathi noticed the poor state of schools and the lack of opportunities for education beyond middle school in the area around the power station. Since 1987, they had helped students from nearby villages to get higher secondary and collegiate education at nearby towns. They not only lodged the students but also covered their fees and day-to-day expenses. Their efforts were praised in a newspaper article, leading to wide publicity for their cause and some of their scientist colleagues following their lead in hosting students. The publicity also led to offers of financial support from several agencies and individuals. Previously all their efforts were with their own funds but these offers gave them an opportunity to improve the education infrastructure in the area and make a lasting contribution. The REWARD project was born to make best use of the funds. The founding trustees decided that they would focus on upgrading the schools of the region to make higher-secondary education available. REWARD also aimed to improve the quality of education by improving the recruitment, monitoring, training, motivation and rewards of teachers. Recruitment: Recruiting supplementary teachers was difficult since they could not be paid as well as teachers in private schools or teachers appointed by the government. The trustees personally sat in on interviews and looked for motivated candidates. Training: The trust trained recruited teachers by organizing frequent training sessions on different aspects of education and the teachers’ subjects. They also attended sessions with other REWARD-appointed teachers where they shared experiences, brainstormed and came up with ideas to teach students more effectively. Summer projects allowed teachers to improve their knowledge of their subjects too. Monitoring: The teachers were required to update the trust regularly about the performances of students in school exams and other tests. Teachers were also tested periodically. Motivation and rewards: Teachers who performed better than others were rewarded with better salaries over time. Teachers also understood that the job was a stepping-stone for them, making them better and, therefore, more employable teachers. Some teachers got higher-paying jobs at other schools and left but while they worked in REWARD-aided schools they are motivated by the fact that they are becoming better teachers every day. The success of the model was demonstrated by improved performances of students taught by the project’s teachers. A salient feature of the project was regular tracking of student performances and the effect of project teachers on students. The project tracked performance of students in board exams in subjects that had REWARD-appointed teachers. The accompanying graph clearly shows the improvement in student performance across the years in schools with REWARD-appointed teachers. REWARD improved the quality of education for thousands of students in a short time not only in terms of test scores but also metrics of future success, such as the number of students entering college. Equally important, the success of the project showed that supplementary teachers can help student education, confirming claims in academic research. The project also had secondary benefits such as motivating government teachers working alongside effective project-appointed teachers. The most significant effect of the project lay not in what they were doing but how they are doing it. This project was not just about paying teachers’ salaries but a demonstration of how effective government schools can be if the teachers were properly selected, monitored, motivated and rewarded. For everyone who has wondered whether the Indian government school machinery can be fixed to produce smart, capable and high-achieving students, this project was proof that efforts in the right direction can produce great results. Asha Frankfurt organizes a food festival annually or biannually to raise funds for and awareness of Asha projects. The volunteers cook Indian delicacies and invite friends and well-wishers to enjoy the culinary delights. Through the festival volunteers get a chance to directly interact with their supporters and people interested in supporting our cause. Volunteers engage in team-work while having fun cooking new and interesting recipes. Our friends and members in Luxembourg went a step further and organized a cooking course for 20 interested residents of Luxembourg. The event was a great success because of the professional way in which it was conducted. The mayor of Luxembourg graced the occasion and enjoyed some of the food. I want to make the world a better place to live in. For this, education is of prime importance. Asha for Education is a perfect platform for me to help this spread of knowledge. It has been my passion for the last seven years. I have been involved in various fundraisers, events, in-person meetings and have also worked remotely in meetings lasting overnight. It has provided me a perfect platform where I can balance work and life and not worry about deadlines but still learn important aspects of team management and communications. Of all the tasks I have been predominantly volunteering for, my time for the web team is where I can effectively utilize my software development skills to make Asha an efficient and productive organization. It gives me immense satisfaction and strength knowing that my code might be helping someone in India to get primary education. 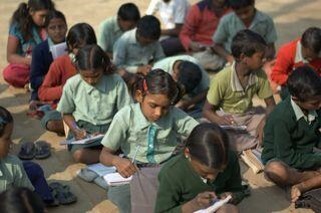 Asha for Education is making an excellent effort to reach far out corners of India to support projects. I personally believe education will bring about a complete revolution in India. I am proud to be a part of Asha and make my contribution towards the education and betterment of underprivileged children in India. I love the democratic and decentralized nature of the organization. Each project is managed at the chapter-level and gets a personal feel. This also means the project is scrutinized and funds are used most effectively. I really like the way Asha keeps its overhead low and volunteers with their hard work and personal effort strive to make sure each penny reaches the project it is intended for. Who will comfort those who are alone at the end of their long journey? Who will hold the hand of those who grieve for a loved one lost? Who gives a smile to those who have not had companionship in a long while? Many of us might have come across such questions in our life. It occurred to me one day while attending classes about spirituality that just learning the purpose of life will not satisfy my appetite for self-actualization and it was time for me to explore what could serve the purpose. I saw a “Run for Asha” banner while doing my groceries. It was the moment I realized that the word “Asha”, which means hope, is telling me that if I want to really make something this is that ray of hope which will shine in my life and empower me to appreciate the whole purpose of my life. Being a mother to my three-year-old son and a housewife (not by choice but by circumstance) kept me busy enough but my passion for social work, which was my career in India, was beckoning to me and I decided to “volunteer” for Asha for Education as I am not yet authorized to work in the USA. Though I am new to Asha for Education (It has been just two months since I joined), it is very rewarding and satisfying to see myself able to once again practice all that I have learned in past years through work experience at the grassroots level in India. I feel as if I got my life back and I feel worthy since every single minute I contribute is making a big difference in the life of an orphan child in the remotest area of India. 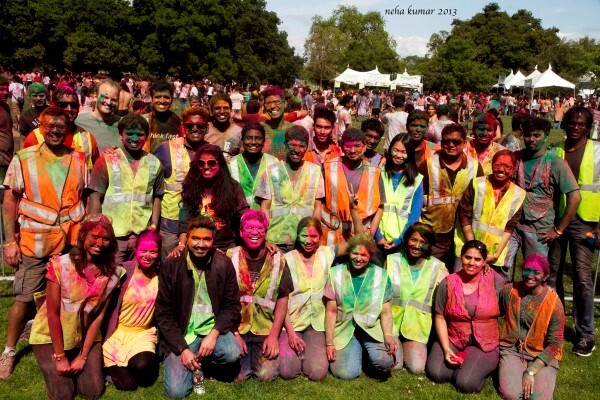 Asha Stanford Holi has grown from a 300-people event in 1999 to the biggest Holi in the San Francisco Bay Area with over 10,000 patrons celebrating over two days! Seen above are volunteers of Asha Stanford after a hard weekend’s work organizing this fundraiser that supports all Asha Stanford’s projects. The Borderless World Foundation (BWF) is an NGO based in Pune that focuses on an acutely underserved population of orphans living in Jammu and Kashmir. Adhik Kadam, the group’s director, was a speaker at Asha 22 conference at Princeton and later visited Asha chapters in Silicon Valley, Stanford and Berkeley. This article features an interview with Adhik Kadam conducted by Surbhi Trivedi of Asha Berkeley followed by a site visit report by Anshu Gaur of Asha Silicon Valley. The Borderless World Foundation (BWF) is an NGO based in Pune that focuses on an acutely underserved population of orphans living in Jammu & Kashmir. Adhik Kadam, the group’s director, was a speaker at the Asha 22 conference at Princeton and later visited Asha chapters in Silicon Valley, Stanford and Berkeley. This article features an interview with Adhik Kadam, conducted by Surbhi Trivedi of Asha Berkeley, followed by a site visit report by Anshu Gaur of Asha Silicon Valley. Adhik started Basera-e-Tabassum (BeT, meaning Abode of Smiles) in 2002 as a home for orphaned girls in the Kupwara district of Kashmir. This expanded to four homes in Jammu & Kashmir. The homes provide safety and education to children who have lost parents or been otherwise affected by the regional militancy. Asha Silicon Valley supports the project. Asha Berkeley hosted Adhik during our first project meeting of fall. He presented a gripping first-person account of his grassroots work as a humanitarian in Jammu & Kashmir, explaining some unique challenges faced by a nascent NGO in this picturesque yet war-ravaged region. Though he had lived and studied in Pune, he worked with Kashmiris to establish a foothold in the region. At first he faced considerable resistance as a Hindu venturing into a Muslim community in a state characterized by religious identity. Over time, he built a relationship of mutual trust with the community that enabled him to establish homes for child victims of this highly militarized region. The second home, Basera-e-Tabassum, was built in 2006 and housed 26 girls. Q: What is the hardest thing about working in this region? A: I think it’s making a place in their community, in shattered hearts, confidence in your being, because the community has gone through such devastation and destruction of lives, female desecration, etc. due to which people can hardly believe anyone… Jammu is Hindu-dominated, Kashmir is Muslim-dominated and Ladakh is largely populated by Buddhist people. Actually, it is very beautiful combination. But today people are becoming great obstacles to each other rather than complementing each other’s existence. Sometimes in religion-dominated society, it becomes hard to reach the real human when religion becomes your identity. Q: How much does the political situation interfere with your work? A: It had interfered only initially, (people thought) that I am the man from this so-called region or religious political party… that I might have some interest in people in Kashmir, in the valley or its politics. But slowly and steadily it was work which vanished it all. As I said, there are changing hurdles that we go along. Some people feel that I have political backing from central government as I am non-local and a non-believer of their faith. With this, a lot of social issues took place, like insecurity of our girls locally, de-motivating our kids on basis of religion by some sects of society. People thought there was some political motive behind our cause and work, and they still have their own mentality regarding our political relations. But we have never faced any problem from any political or governmental setup. We have always made sure that we try to be away from politics and political situations because it may or may not support our work. Anshu Gaur and Bani visited the Basera-e-Tabassum (BeT) Kupwara and Beerwah homes from the 22nd to 25th of June 2013. Here is a summary of the organization and their experiences from the visit as written by Anshu. On Saturday, 22 June, Adhik picked up Bani and me at Srinagar airport and took us to Kupwara. The girls at Kupwara home welcomed us warmly but were a little shy. The home is managed by Pragya and Saleema. Pragya joined BeT recently from Pune and has a background in social work. Saleema had been with BeT for 11 years and also works part-time to provide vocational training to girls. The home also had two housemothers, two cooks, a watchman and a helper who procured provisions. We met the girls in an assembly in the evening. After introductions some girls sang songs and gazals. After that, Pragya and the housemothers asked us to leave as they had to deal with a disciplinary matter. A few girls were climbing a tree in a neighbor’s yard and the tree fell down. Fortunately, nobody was hurt. Some of the girls went to owner’s home to apologize and offered to work in his yard as compensation. In the assembly, the girls were let off after a reprimand. Over dinner we had a discussion on the merit and correct form of punishment for such acts. The next day, we talked to some of the older girls (6th-9th grades) about their studies and careers they would like. I lent them my camera and they were happy clicking photographs of their home and of each other. After lunch, we went on a trip to a nearby dam and lake with the girls. Later, the girls organized an “India” vs. “Pakistan” cricket match in their small compound. “Pakistan” won but everyone shared the victory. In the evening, Adhik took us to a girl’s home in Lolab valley (30-40 minutes’ ride from Kupwara). She was in 11th grade and part of Kupwara home but stayed with her mother who needs help. The girl’s father, a militant, was killed by the Indian forces. We passed through places and roads that were among the most dangerous at the peak of the militancy. On our way Adhik and I chatted about how he got started working in Kashmir. At night a gentleman from the community dropped by to discuss the problem of access to the land BeT had acquired for building a new home. At the time of our visit, they had inadequate space for 40 girls in a rented house. The house had five rooms, a kitchen, a small office, an attic and three toilets. On Monday the girls were up early. They had their PT session and later were busy getting ready for school. The older girls helped the younger ones. Some of the girls had their mid-year exams; so they were busy with last-minute preparations. Others had just finished their exams and had the day off. After breakfast, we took leave from the Kupwara home for the Beerwah home with a promise to visit again soon. We reached the Beerwah home at around 3 pm. Compared to the girls at Kupwara, the girls at Beerwah were older and less shy. They immediately took us to a nearby apple orchard. Again I lent them my camera to click some photographs. After coming back, we played “Antakshari” for some time. The girls showed fierce competitiveness. Later, I went with Adhik to see the site for a new home. On our return, we talked to Mr Zahoor, a teacher and trainer at District Institutes of Education and Training (DIET). He came to the home every evening to help the girls with their studies. Actually, Mr Zahoor and Tanveer along with Adhik and Bharati (no longer part of BWF or BeT) conceived the notion of BeT homes. The discussions revealed the complex situation of the organization caught in mistrust between the local population, the Indian military and the militants. We also learned how the organization survived and made a place for itself in the last 12 years. Next morning (Tuesday) as most of the girls left for school, Adhik took us to Gulmarg, about an hour from Beerwah. We came back in the afternoon. After lunch we set off for another trip to Doodhpatri along with 22 girls in two vehicles, a jeep and a van. Though the distance was short, the roads were difficult. At times the girls in the van had to get down and push it. Despite this, we had fun and took some nice photographs. On Wednesday, we were to leave for Srinagar in the morning but our departure was delayed because of curfew in Srinagar. The curfew was due to the Prime Minister’s visit and an attack on an army convoy in which eight soldiers were killed. At around 3 pm we got the news that curfew had been lifted and left Beerwah but not without promising to come back and stay longer. We felt that the Beerwah home had a more informal environment, which may have been due to absence of a manager or housemothers. Also, the cook, inspired by girls at the home, was on leave for her 10th grade mid-year exams! So the older girls were “in-charge.” However, a manager was to join from 28 June and Mr Zahoor had found a housemother too. Girls at the Kupwara home had a more structured life. But at both places, girls consider the homes their own and enjoyed living there. Some of the older girls felt strongly about doing something in their life and understood the need for independence despite social pressures. BWF planned to expand and improve their facilities. Adhik told us that HDFC had approved funding for their staff (24 personnel for four homes, plus five others) and money will start coming from July. A contact in Mumbai, who worked for Harley Davidson and had visited BeT, had promised to donate power inverters for all four homes. There is much more to BeT homes than can be conveyed in a short report. The violence and tension in the region can make simple day-to-day activities difficult. As Adhik said in the conversation at Asha Berkeley, in answer to a question about the hardest part of working in this region, “I think it’s making a place in their community, in shattered hearts, confidence in your being, because the community has gone through such devastation and destruction of lives, female desecration, etc. due to which people can hardly believe anyone… Jammu is Hindu-dominated, Kashmir is Muslim-dominated and Ladakh is largely populated by Buddhist people. Actually, it is very beautiful combination. But today people are becoming great obstacles to each other rather than complementing each other’s existence. Sometimes in religion-dominated society, it becomes hard to reach the real human when religion becomes your identity.” Looking at BWF’s work through BeT homes, it was clear that they had successfully cleared this hurdle. Bani and I felt that visiting BeT homes was the best part of our Kashmir trip. We hoped to visit these and other homes to see them continue their wonderful work. A compilation of Asha events around the world. USE Winter Fayre was a fundraising and promotional event at the Interval Gardens of the Students Union where the Sheffield chapter of Asha for Education competed with different societies and individual stall holders. 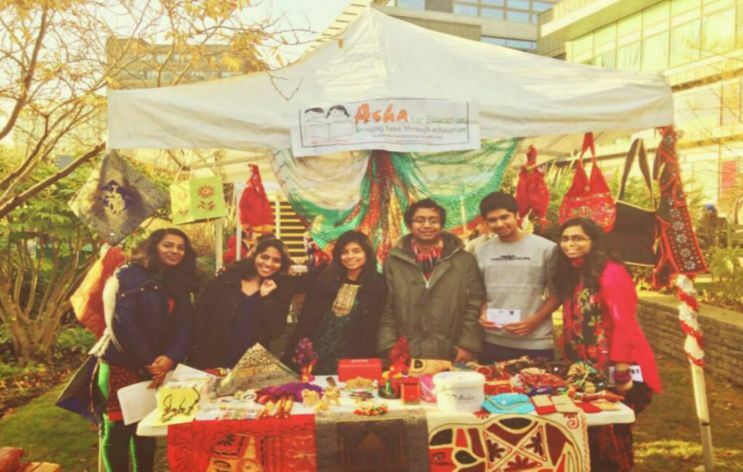 The Sheffield chapter set up a stall themed on authentic Indian handicrafts and jewelry. It was chosen as the most attractive stall in the fair and also won the title of Most Profit-making Society in the event. In April 2013, Tadka and Inchin’s Bamboo Garden Restaurant in Alpharetta, GA chose Asha Atlanta’s project Trinita to be the beneficiary of their month-long Asha Restaurant Month campaign. Through the tireless work of Atlanta volunteers who designed and promoted the event and, most importantly, with the very generous support of the residents of the Greater Atlanta area, Tadka raised and donated $2697 to Trinita Society for Children. Asha Purdue 5K Run in 2013 was part of the larger Krannert 5K Run at Purdue campus. The event started outside the Purdue Memorial Union. 21 team members from Asha Purdue ran for the cause of underprivileged children in India disregarding the April cold. There was a lot of excitement at the starting line with people cheering for Team Asha. Slowly but steadily runners made their way across the route. This event was a true bonding experience for the Asha Purdue team as Asha volunteers cheered exhausted runners at the finish line and hugged them when they finished. There was a sense of accomplishment as each Asha Purdue team member reached the finish line. Thanks to support of about 60 donors and Indian Women Association, Asha Purdue raised about $2,500. In 2013, Subeer and Sonia Manhas hosted the 13th Annual Manhas Family Charitable Golf Tournament benefiting Asha. The tournament was held at the Golf Club at Redmond Ridge and started at 8 am. Registration and warm-up started an hour earlier. Space has always been limited at this lively, popular event and there was tremendous excitement. The tournament was followed by lunch and awards for Gross Score, Net Score, Net Team Best Ball and other skills. Best of all, participants and hosts made generous contributions to Asha. Tremendous care, attention to the details (preparing awards, putting brochures in golf bags, etc.) and many personal touches made the event memorable for the participants. We thank Subeer and Sonia for conducting this event year after year and for making it successful every time. Mandra Lions Club (MLC) started in 1975 in the small village Mandra, in the Hooghly district of West Bengal. From humble beginnings the organization has now spread to six districts of West Bengal, viz., Purulia, Murshidabad, Maldah, Birbhum, North Dinajpur and South Dinajpur, covering 97 blocks and 901 gram panchayats. MLC is supported by Asha chapters at Cornell, Stanford, Sheffield and Central New Jersey. At the time of writing, MLC ran 28 Alok Kendras (primary schools) in the Baghmundi region of Purulia district. This area has suffered recurring Naxalite violence. Poverty runs deep and government aid is next to non-existent. Locals, mostly landless peasants working as daily laborers, depend greatly on the humanitarian activities of MLC. Asha Cornell feels fortunate and proud to be part of such a philanthropic social mission. Since 2010, Asha Cornell has funded five schools in the region where 197 children received basic primary education. The schools are mostly run in the local language, Santhali, in line with the recommendations of the Kothari Commission, 1966. Community participation is highly encouraged in the day-to-day running of the schools. This helps create literacy awareness and lay the foundations for an inclusive and sustainable educational support framework. In 2012, we helped start a mid-day meal program in all five schools and provided students with uniforms through the WAH (Work an Hour) campaign. We also worked closely with MLC to implement RTE (Right to Education Act) in these areas. Reactions from the local people was overwhelmingly encouraging. Past visitors to the project site came back with emotive stories about how MLC made a huge difference, encouraging us in fundraising. It was immensely gratifying that some of the graduates of MLC-run primary schools came back to help alleviate illiteracy and widespread poverty of the region. With the help of our well-wishers we hope to continue to support the noble efforts undertaken by MLC. 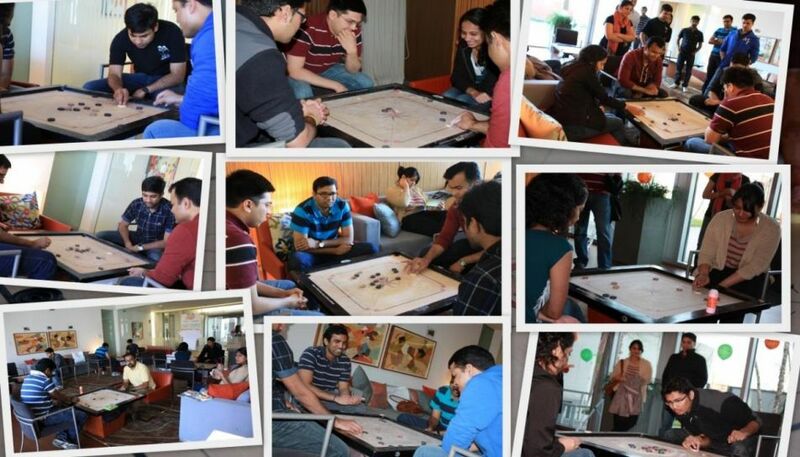 After an exciting debut in 2012, Asha Boston/MIT chapter hosted its second annual carrom competition in April 2013. The event was held at Lansdowne Apartments Club House next to the MIT campus in Cambridge, MA. It was an exciting and nostalgic experience, bringing back childhood memories to many. Close to 50 teams participated in the tough competition. All Asha Boston/MIT chapters’ projects were showcased on the walls during the event. Many participants, family members and friends expressed interest in the work. Thus we raised awareness, enlisted donors and volunteers and had fun too. I am Sesha, a core volunteer in Asha for Education’s Boston/MIT chapter. It gives me immense pleasure to work for this great cause which catalyzes socio-economic growth in India through the education of underprivileged children. From the day I decided to volunteer till date, I have organized fundraisers, been to fun events and meetings and been a project steward, where I got more insight into the projects that have made significant impact in helping organizations that work at grassroots level to educate underprivileged children in India. By volunteering for Asha, I can proudly say I have been useful, I have been of great service to the community and there is something special inside me. I thank Asha for Education for helping me realize this. By Volunteering for Asha, I have also got the biggest asset of my life: friends. Few months later, I was introduced to an Asha volunteer looking for newly admitted students for the Asha Purdue chapter. That fall evening I went to meet Asha Purdue members, they were busy preparing “Tarang”, an annual fundraising event. Some enthusiastic go-go students were practicing dance medley. Against the odds and my inherent images of serious, somber, tightlipped people, president, vice-president, secretary, treasurer – all were acting and dancing in a skit! They were looking for someone who could store their moves, memories. So my Asha volunteering started as a photographer. I used to take pictures of Asha events and post them on Facebook. After working for Asha over nine months, attending meetings and covering different fundraising events, I felt the most promising characteristics of Asha are incessant effort, headlong exertion and trusting on their own ability to bring changes, however small it is. We all love the results part, but the part that bring results, all those small step-by-step efforts – I feel that is where Asha holds its nerve. Asha organizes fundraising events to support projects in India. An organization with such intentions doesn’t necessarily mean we have to confine ourselves to long talks, rumbling ideas. So Purdue Asha group performs dance, drama skit, medley and even dumb charade. All for a noble cause, to save money to fund projects in India. Initially I was little cynical about their way of collecting money – selling food, arranging events, running 5K. But there is no magic trick other than dedication, hard work and commitment. Currently funded projects, seeing their site, seeing photos (yes, Asha members do visit India to see progress of their funded projects), I strongly feel, slow but steady, wins the game. After working for Asha, charity is not a process of ”black box” to me anymore. I can see, hear, feel the mechanism inside. But this is not the end of the story. Asha’s educational portal is under construction. It will be, an e-learning facility to millions of children across the globe. We have a faculty advisor, numerous Asha student Alumni, an ex-president from another Asha chapter, few Purdue info-wizards – there is so much knowledge and support here. I volunteer for Asha because it’s a noble cause, it’s cool, it’s philanthropic and, above all, the feeling that my 15 minutes can change something. Asha goes by as a “non-profitable” charity organization, but I feel investing time to such organization was the most “profitable” work I ever did. Asha conferences are a time for volunteers to deeply reflect on Asha’s journey, hear insights from project partners, discuss and deliberate on the developments on the ground and plan on Asha’s future direction. It was in one such conference that Asha’s mission statement, “To catalyze socio-economic change in India through the education of underprivileged children,” was coined. The Asha-22 Conference to commemorate the 22nd year of Asha’s existence was held at Princeton University on 31 August & 1 September 2013, the Labor Day weekend, at the beautiful campus of Princeton University. Though the number of attendees was low, the discussions at the conference were vibrant and insightful. The keynote talk was followed by a presentation by the Asha-wide coordination team about the current “State of Asha” and a talk by Mr Rafi from the Center for Development (CfD), an Asha partner in Gujarat which provides education for displaced children. He focused on the state of education in Gujarat, through the provisions of RTE and findings of the annual ASER (Annual State of Education Report). He discussed the efforts of CfD in developing simple educational material that have been successfully used to educate people about the Right to Information (RTI), Right to Education (RTE) and the powers and responsibilities of the School Management Committees. He offered to share this material with other Asha project partners who could translate them to their local languages for use in their work. Day 2 of the conference featured a talk by Adhik Kadam and Borderless World Foundation. Adhik visited Kashmir as a young college student and, stuck by the problems of orphan girls caught in the cross-border violence, stayed on to start a home named “Basera-e-Tabassum”. This annual report has a feature on Adhik and a site visit to BeT. The conference had many takeaways for attendee volunteers – from a better understanding of Asha’s history and essence to a vision of what Asha’s role should be – providing food for thought. It concluded with a presentation on Aadhar card-based reforms. Thanks to the volunteers of Asha Princeton for organizing the conference and to volunteers and speakers, both in-person and remote, for engaging and insightful discussions! Madurai SEED is now in its 15th year serving underprivileged children and young people. During 2012-13, 458 children (295 boys, 163 girls) and 29 young people (16 men, 13 women) benefited from SEED’s education and life skills interventions. All are from the underprivileged areas in Madurai. Among them, 70 are from single-parent or no-parent families. SEED found that finishing schooling and going on to college is the key factor in changing the socio-economic status of the family. Guidance, moral support, academic input and counseling make all the difference between dropping out and continuing. SEED Narpanigal, run entirely by 21 young volunteers from the community and supported by the Asha Boston chapter, has grown steadily. 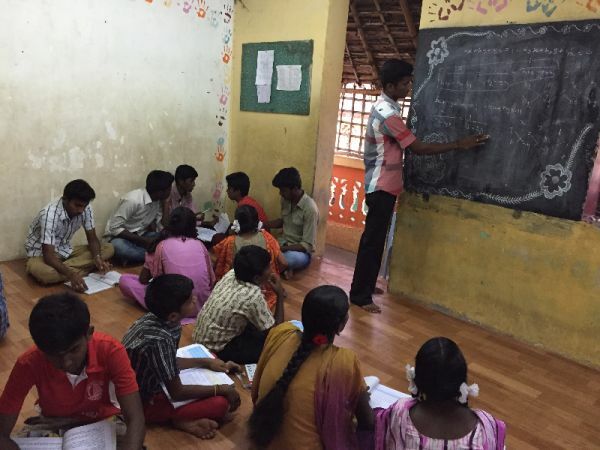 It runs study centers for 1st to 12th grades in the Karumbalai slum in Madurai. The unique feature is students who learn at the centers become volunteer teachers at the center when they are in college and help students in school. Thus the community helps itself. The group’s Facebook page helped spread the word. Four persons from outside the community (from the middle and upper economic classes) regularly volunteered at the centers. They greatly helped teach English and mentor and tutor the college-goers teaching at the center. Word-of-mouth and an internet presence, created entirely by community youth, have also publicized the good work. The volunteer teachers (college students) were trained at the beginning of the school year on how to teach better, activity-based learning, etc. This brought about perceptible improvements in academics at the center. The daily attendance at the centers increased from 80-90 to 140. 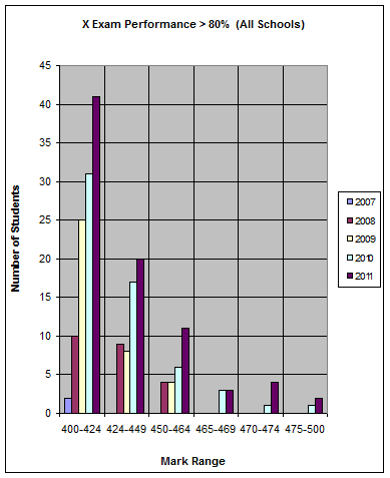 More students come regularly. This is partly attributed to the improved teaching. A number of students termed “slow-learners” by their schools and society joined the center when they were in 6th-8th grade. They did poorly in school, even failed multiple times and were branded as failures in society. Karthi, a co-founder of SEED Narpanigal believes that every child can learn if given a decent chance. Various factors contribute to a student doing poorly in school such as deprivation at home, death in the family, and contempt from teachers and society. With kindness, caring and one-on-one attention, SEED Narpanigal volunteers gave these slow-learners the confidence that they could learn, helped them catch up and pass 10th grade. Children who could become “roadside rowdies” instead become productive members of society. This year, two students who joined 8th grade barely knowing how to read and write passed the 10th grade exams. Asha Purdue put on a grand cultural show, “Tarang”, on 8 September 2013. The show was based on the theme “Asha Magic”, the tale of how a few committed people weaved magic into the lives of thousands of children and empowered them by providing education. The performances for the day comprised of a special blend of dances, skits, vocal and instrumental renditions to celebrate the realization of a child’s dream. The show opened with an invocation by Navya Tarikere followed by a splendid dance performance by kids from Indian Women Association (Photo #2). The performance by Indian Classical Music Association of Purdue (Photo #1), carnatic vocal performance by Rohith Chandrasekhar, a solo piano performance by Atish Parekh and performance by a new Indian fusion band created an unforgettable musical extravaganza. Tarang also featured a scintillating dance performance by the Purdue Salsa club (Photo #3) and an energetic Bollywood dance fusion by the Purdue Indian Dance Club. The audience was exposed to different styles of Indian dance from the late 70s to the present in a mesmerizing Bollywood dance medley by Team Asha (Photo #4). The event concluded with a musical skit performed by Asha volunteers throwing light on the issues faced by underprivileged children in India and how one can play a part in enriching their lives with education. The impeccably organized event was greatly appreciated by the audience with deafening applause as Team Asha bowed to mark the end of the show. Tarang was a resounding success with over 200 people coming together to enjoy a memorable evening filled with music, smiles and the sheer pleasure of bringing joy to the lives of others! Detailed financial statements of Asha for Education, including an independent audit report, can be found here. 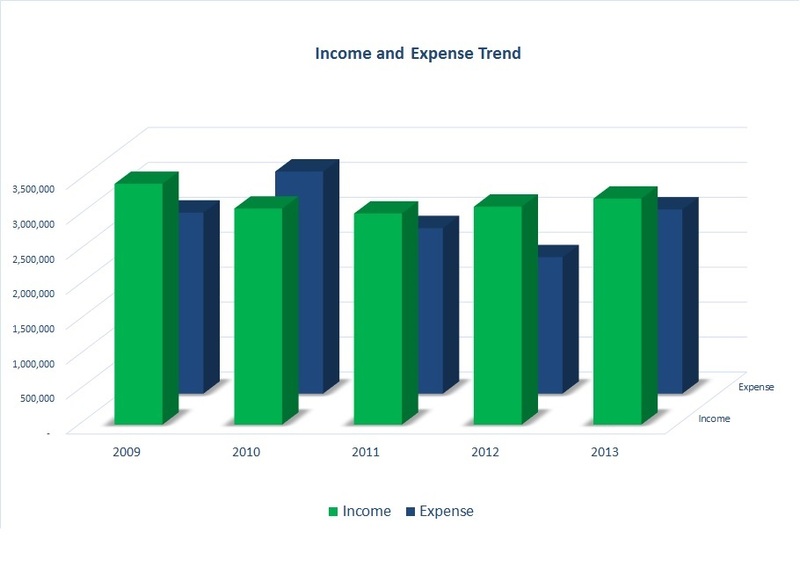 The following graphs show the overall income/expenses over the last 5 years and the sources of our income. 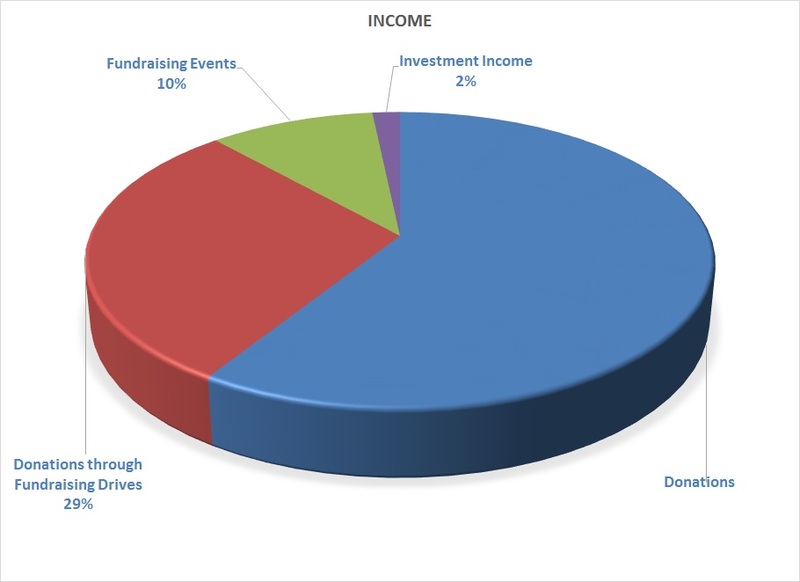 Fundraisers and investments form only 12% of our income while 88% is from tax-exempt donations. The following graphs show the overall distribution of expenses. 97% of our funds are used to support projects in India. 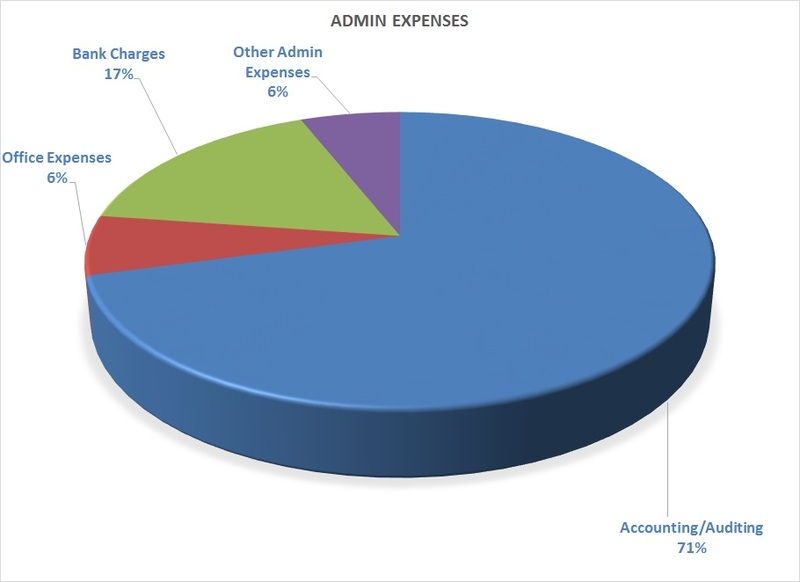 Administrative expenses account for only 2% of total expenses, most of it is towards accounting/auditing and bank charges. Suyash Shringarpure, Pradeep Jayaraman and Pabitra Chatterjee. Proofreading by Prerana Thakurdesai and Venkatesh Iyengar. Thanks to all volunteers who contributed articles, photographs and other content for the Annual Report. We would also like to thank every member of Asha for Education for their valuable inputs and suggestions.